We’ve added the ability to copy schedule entries onto one or more platforms in Movida. It’s great to be efficient and to create schedules in Movida across all your platforms at once - but sometimes that just isn’t possible. Maybe you need to populate a new platform you have decided to make content available on, or copying across a back catalog. Before, the only way to simply do this was to use Excel spreadsheets - yuck! 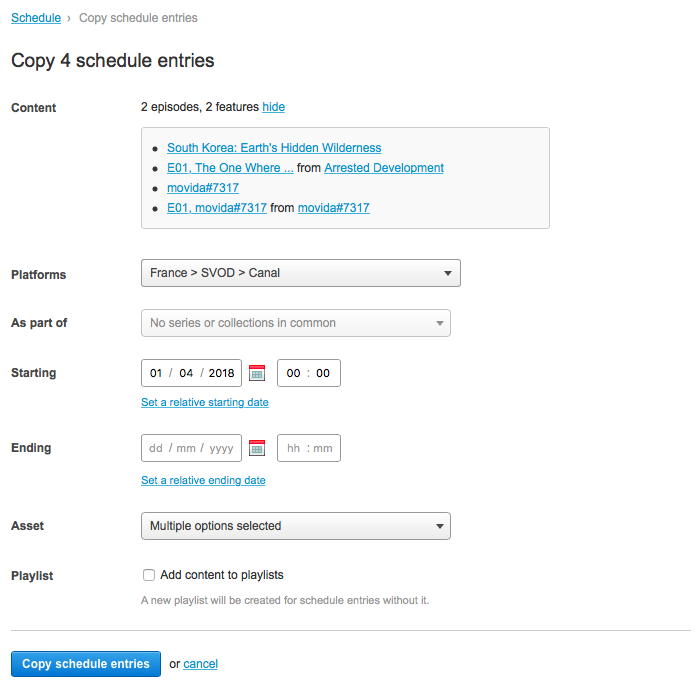 Happily, we’ve added the ability to copy schedule entries onto one or more platforms directly within Movida. Then select the new copy option at the top of the page. 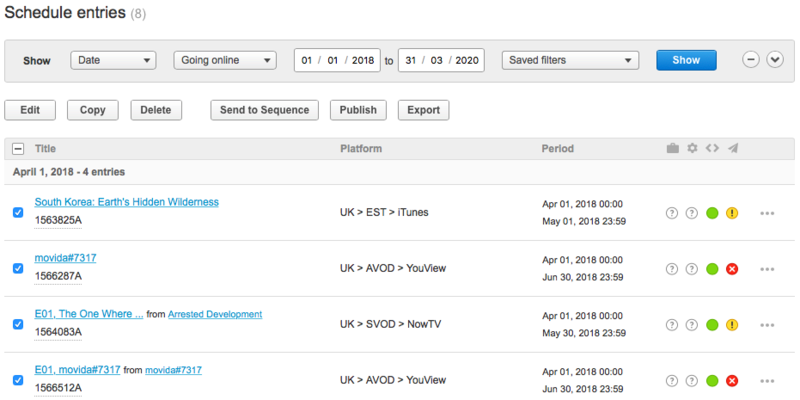 You can select which platform(s) you wish to copy the schedule entries to, and can even modify schedule start and end dates, selected assets and add playlists.